SOCCEROOS star Tim Cahill says the discussion around Ange Postecoglou's future is "just speculation” and has taken away from Australia's victory over Syria. Reports emerged this week that Postecoglou would quit the Socceroos job after the World Cup qualifiers against Honduras - regardless of whether his side made it to Russia 2018. Cahill, who scored two decisive goals in the 2-1 win that sent Australia through to the next round of qualifying, said the timing of the reports on Postecoglou's plans was disappointing. "It's just speculation and I feel that this angle the day after the biggest game in Australian soccer - to qualify for a fourth consecutive World Cup - is not needed. 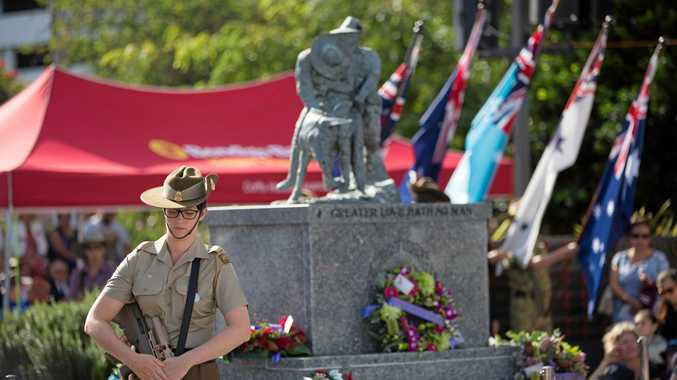 Especially now,” Cahill said at Fox Sports' launch of the Hyundai A-League's Melbourne Derby. "So I think we (should) concentrate on celebrating a 2-1 victory firstly and looking forward to a full house in home at Sydney of 80,000 plus that's going to pack out Australia. "And regardless of whether people like it or not, everyone's going to be watching because this is a chance for the fourth consecutive World Cup. Cahill said he felt the scrutiny on Australian football made it tough for players and managers. But the Socceroos' all-time leading goalscorer said Australia would not be distracted ahead of the qualifiers against Honduras. "I feel that playing soccer in Australia's tough because regardless of winning and delivering the results, the next morning, very early having to wake up to that as a manager and as a team leader - it's what comes with the territory,” he said. Cahill also defended Postecoglou's decision to bench key midfielder Aaron Mooy in the second leg against Syria. The Socceroos playmaker was dropped from Australia's starting line-up but came on for the injured Brad Smith early in the piece and was influential thereafter. Cahill cited Mooy's heavy playing and travel load as a key reason for his benching. "I feel for Aaron because he's played so many games for the Premier League and with the Premier League comes a lot of pressure. With the national team comes a lot of pressure,” Cahill said. "Whether he starts or whether he doesn't start, I think you need to look a lot deeper into the amount of games he's played. "So he's played in Syria, he just played against Tottenham (plus) the flight time. "I also feel that we missed the fact that we're also trying to protect him - so for Azza he's a professional and every single player has to sit on the bench. Cahill cited the Mooy news - which broke hours before kickoff - as an example of attempts to "derail” the Socceroos' focus. The forward said he wanted to see more focus on the positives around Australian football. "I feel now the angles are coming before we play the biggest game, we're leading into the game and there's an angle to try and derail us,” Cahill said. "And then coming out of the game there's another angle to not celebrate the 2-1 victory ... I just want us to focus on the positives for once, if we can. 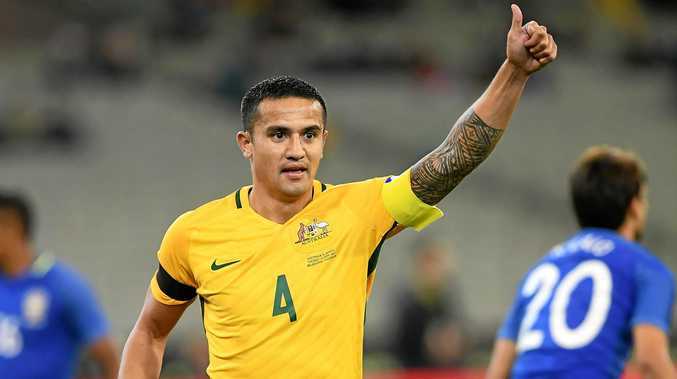 Looking towards the qualifiers, Cahill said it was difficult for the Socceroos to attract attention in Australia's multi-code sporting climate. He said securing qualification for Russia 2018 was needed to help build the world game in Australia. "It's the biggest game in the world yet in Australia it's struggling to get the traction that it deserves.